Once upon a time there lived a little girl who loved to throw magical parties. But then one day all her friends grew old, busy with jobs and buying groceries. Gone were the days of summertime tea, all parties had turned to a memory. The moral of this story is quite simple, but true, whether you're six or ninety-two. If your friends are not so busy, then you should throw a party. And if they seem too busy chasing the cares of life, a Sleeping Beauty party invite might be just what they need tonight! So, you want to throw a Sleeping Beauty Party? You've come to the right place! 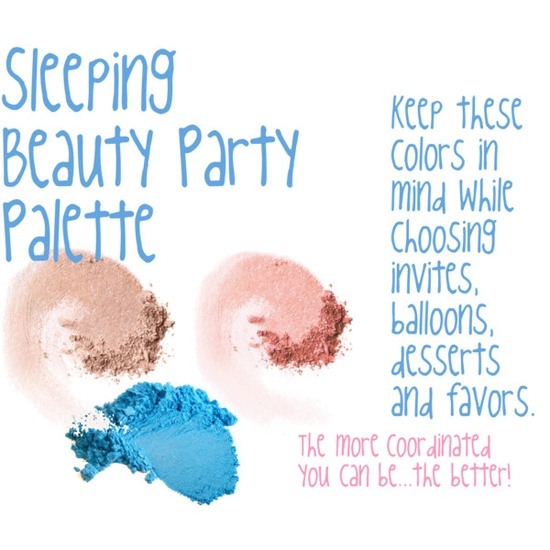 When planning a party, it's important to know what your color palette is. After choosing the WHO and WHEN of your party, it's time to send out the invites. Keep the color palette in mind as you plan each element such as decorations, dessert, and your invitations. 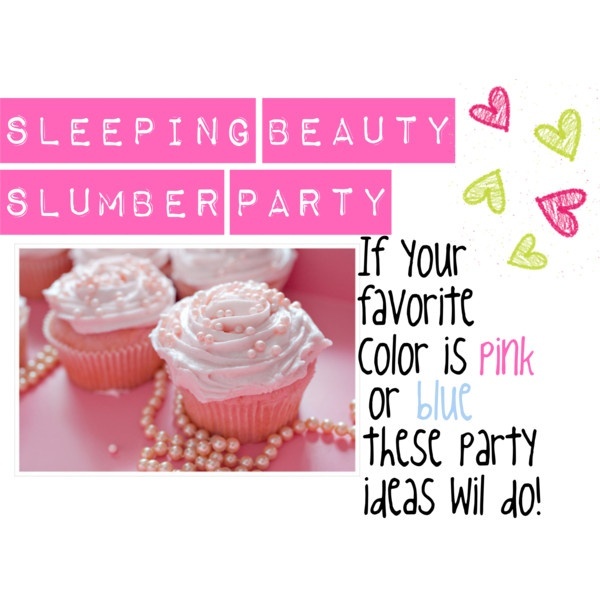 Create a fun party schedule with all the activities you would like to do for your Sleeping Beauty Slumber Party. Give a copy of the list to each girl as she arrives. 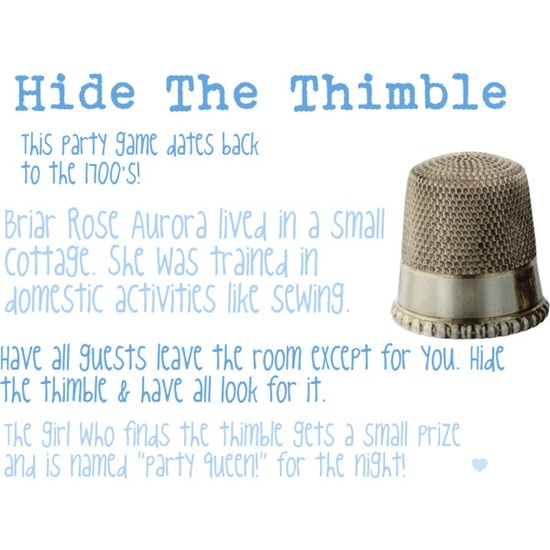 As soon as your guests arrive, help them feel more comfortable with this fun party game! Give every girl a handful of M&M's. Every girl must share one thing about herself depending on what color M&M she chooses from her hand. Don't tell her what she'll be sharing until she picks a color! Go around the room and let every girl have several turns. If she picks the same color twice, she has to share on that same topic. For more fun icebreaker and conversation starter ideas check out our Friendship Flowers section. Use a program on your computer to design an adorable sign. 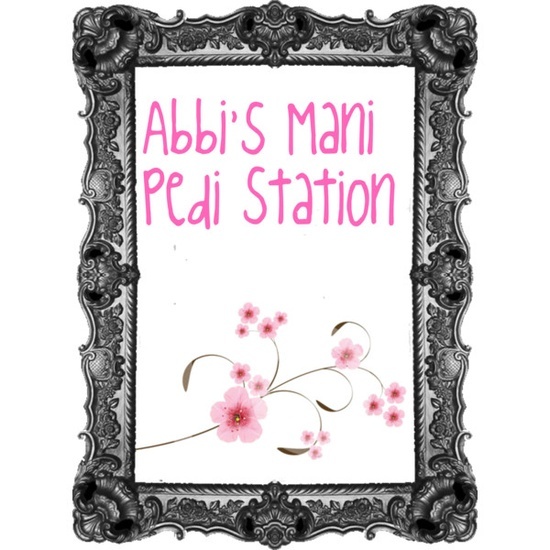 Use cute colors, type your name and, "Mani-Pedi station." 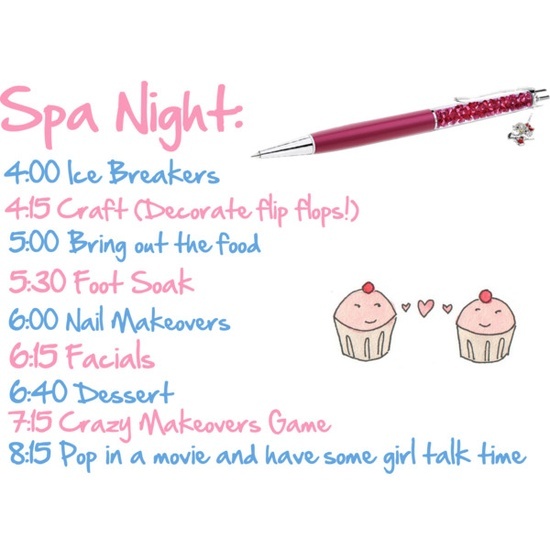 Print it out, stick in an adorable frame, and place it on your "Beauty Bar" table, where you will stash all your beauty supplies for the night! Serve scrumptious finger foods and display them buffet style so your guests can be snacking all night long! 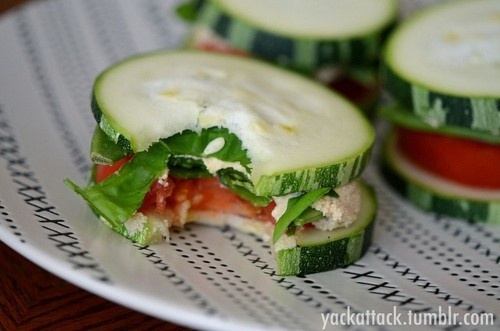 Cut up cucumber or zucchini slices to create mini sandwiches! Fill them with tuna fish, tomato, lettuce, and or deli meat. 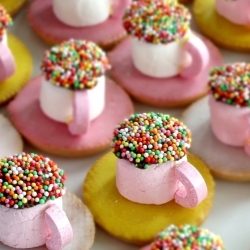 Your friends will flip for this dainty tea snack! 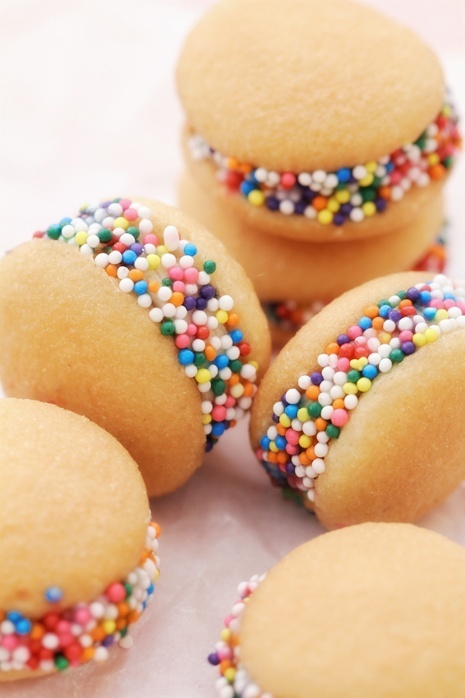 Grab a box of Vanilla wafers, fill them with your favorite frosting, and roll the edges in sprinkles! Insta-party fun! Every savvy party planner knows that when planning an event, Pinterest is a fantastic source to draw inspiration from! 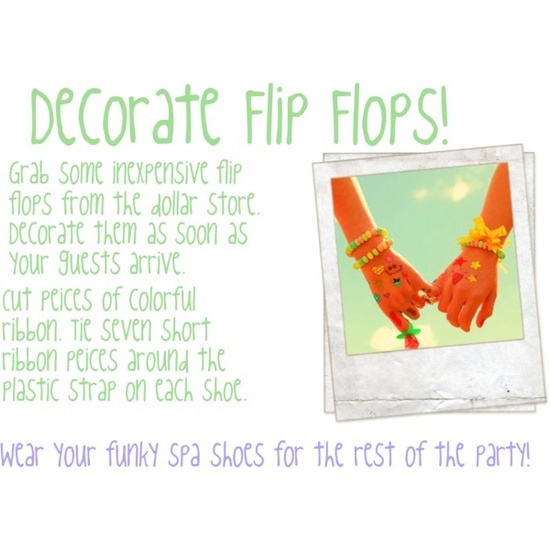 While our Party Planning Team put together this event, we found many adorable ideas online! We just had to share some of them with you! What could be more girly and princess themed then serving fairy-spun, pink popcorn? 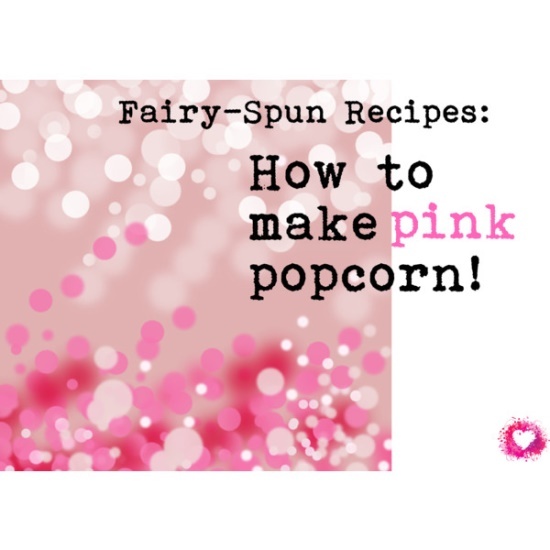 Pretty Pretty Princess Pink Party Popcorn Recipe. 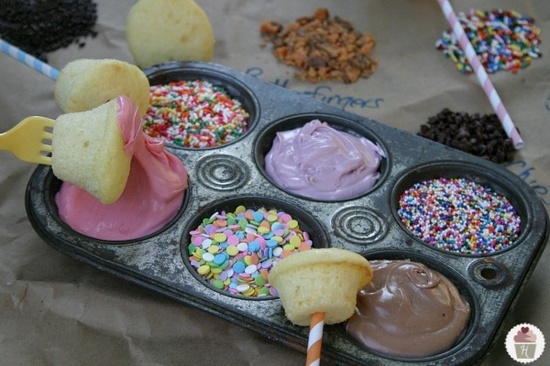 Dip mini cupcakes into a fun variety of frosting, sprinkles and toppings. 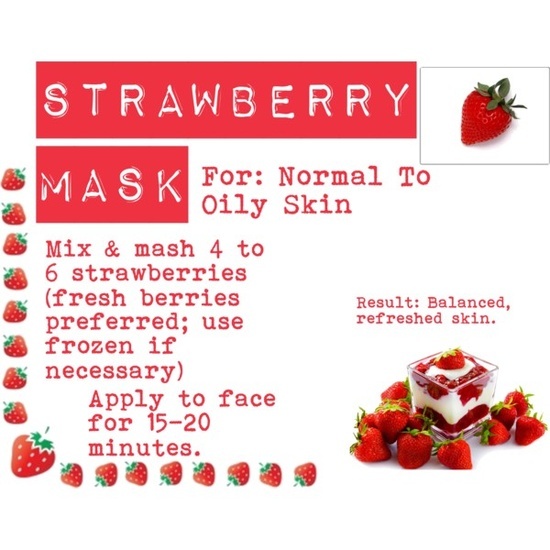 The ingredients for this sweet treat are simple. Marshmallows, icing, sprinkles, and lifesavers. 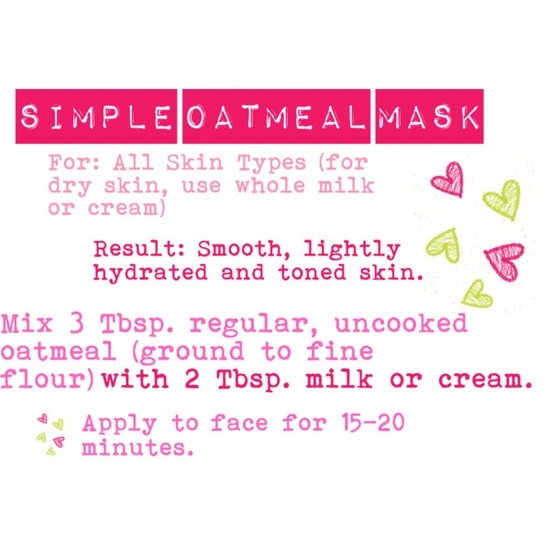 Time for your Sleeping Beauty makeovers! 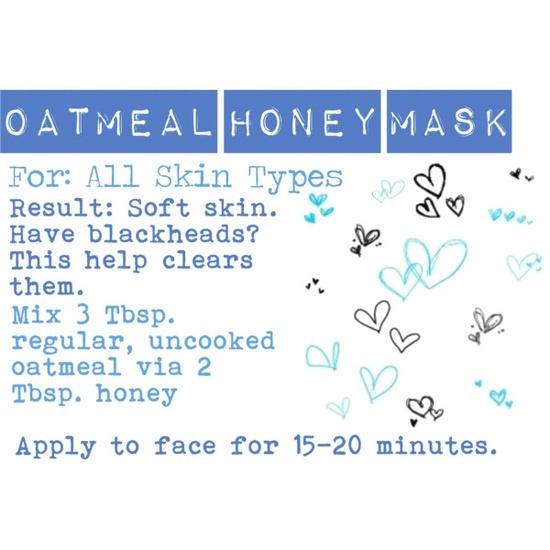 Check out these fabulous home made facial recipes by our very own Alyssa G.
Q: What's the difference between a manicure and a pedicure? Try this wild and wonderful idea...a blind makeover! Divide the girls into pairs and have them decide who will give the makeover and who will receive it. Blindfold the makeover giver and put all makeup items in front of them. The makeover giver must do her best to put makeup on the receiver with absolutely no guidance from her. Give the teams about 10-20 minutes and then judge who did the best job. If you want, you can have the teams switch and let the receiver become the giver. Revenge can be sweet if they didn’t like their blind makeover! Q: I want to incorporate roses (because of Brier Rose) into my party theme. 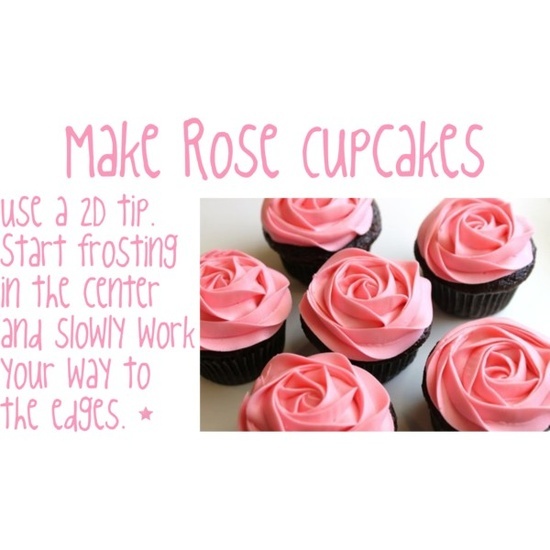 How do I create the perfect rose design on my cupcakes? Send your guests home with adorable Sleeping Beauty party favors! Sign up for free for Crown of Beauty Magazine to get fun party ideas, advice for girls, interviews with stars, and much MORE... all in your inbox!